Self-cling, high-performance cushioning requires no tape. 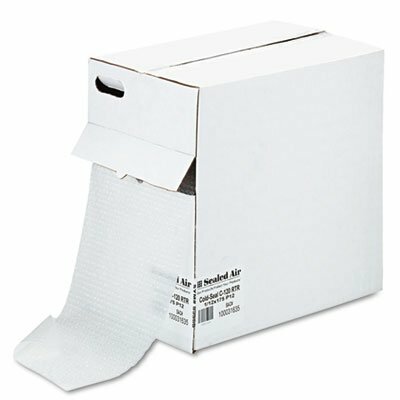 Barrier Bubble® technology allows you to simply wrap item and press cohesive surfaces together. Will not stick to product being protected. Provides better protection using less packaging material compared to loose fill or paper. Cohesive (self-clinging) bubble wrap is 12" wide x 175' long and perforated every 12". Includes dispenser box. If you have any questions about this product by Sealed Air, contact us by completing and submitting the form below. If you are looking for a specif part number, please include it with your message.